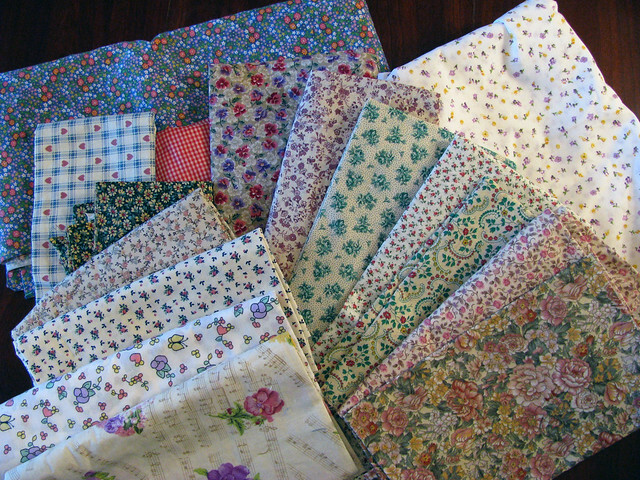 A friend sent me a box of fabrics to make a quilt for a charity we both support, Mothers Fighting for Others. 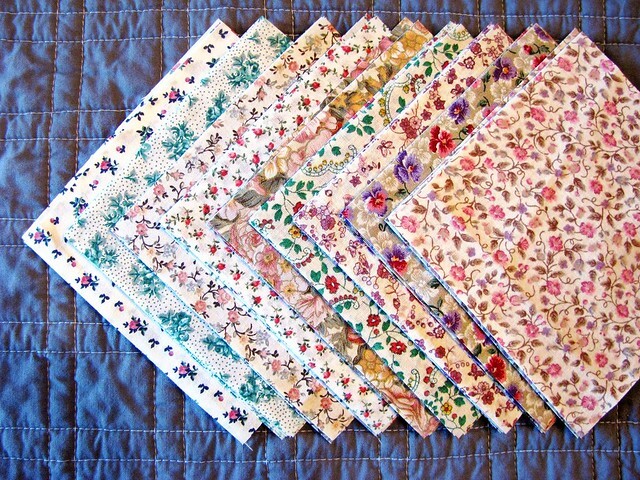 The sweet floral prints made me think of Little House on the Prairie, and I realized that I should work with that. If the little quilt is going to be auctioned to raise money for an orphanage and a school, isn’t it fitting to pair it with a beloved book from childhood? What Mom or Grandma wouldn’t want to share those memories with their special little girl? I’ll throw in some white and make an hourglass quilt small enough to be a baby quilt, but large enough for a little girl to sit under and read a good book. 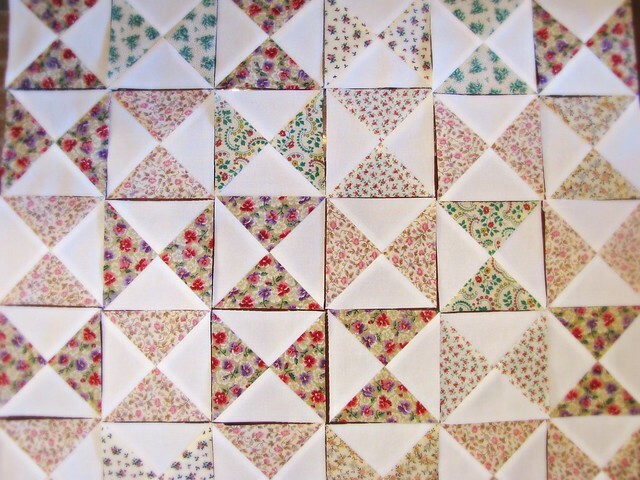 Just to add some intrigue for the quilt’s new little owner – some historians think the hourglass quilt design may have been used as “quilt code” to help send messages to escaping slaves. An hourglass quilt hung outside or visible in a window was a message about when and where travel would be safe. The colors used may have told when to expect help. (You can read more here.) There’s a lot of dispute about whether or not quilts were actually used as codes, but I love the idea that not only can you stitch love and comfort into a quilt, but also bravery and kindness. This is just going back my “to do” pile while I get to other things, so it may be a while before you see it again! If you’d like to own this future quilt yourself, I’ll post again later to let you know how you’ll be able to bid on it.